THE Supreme Court yesterday gave reasons for affirming the elections of Governors of Oyo State, Senator Abiola Ajimobi, Yobe state, Alhaji Ibrahim Gaidam , Akwa Ibom Udom Emmanuel and their Delta state counterpart, Senator Ifeanyi Okowa, in the April 11, 2015 polls. The seven-member panel of justices of the apex court, headed by Justice Walter Onnoghen said the appeals against the election of the governors, affirmed earlier, lacked merit. In the case of the appeal filed by Alhaji Rahidi Ladoja of the Accord Party, challenging Ajimobi’s victory in the election conducted by the Independent National Electoral Commission (INEC) in Oyo state, the court held that the appeal was dismissed for constituting an abuse of court process and lacking in merit. The court in its reasons for the judgment added that Ladoja and his Party could not prove the allegations of misconduct and gross violation of Electoral Act, which they had claimed, marred the election that produced Senator Ajimobi as Governor of Oyo State, beyond reasonable doubt as required by law. On its affirmation of the election of Governor Ibrahim Gaidam of Yobe state, the court held that the appellants failed to prove the criminal allegations leveled against the governor. In addition, it stated that the Yobe State Election Petition Tribunal has no jurisdiction to entertain a criminal allegation. 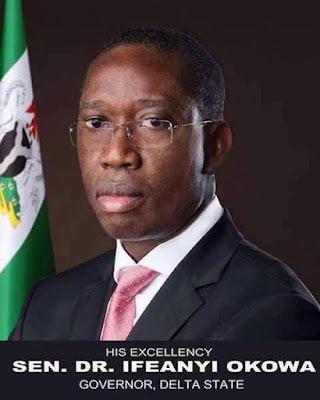 In the case of Governor Ifeanyi Okowa of Delta State, the court said the reasons include the inability of the petitioners to prove the allegation of irregularities, malpractices and violations of Electoral Act, which they claimed marred the April In the case of Akwa Ibom, the Supreme Court identified wrong reliance on the petitioners witness and over-generalization of anarchy as part of the reasons for its judgement in Akwa Ibom gubernatorial verdict. In a sitting yesterday, which was to give reasons for dismissing the appeal filed before it by the candidate of All Progressives Candidate (APC), Umana U. Umana against the candidature of the Peoples Democratic Party (PDP), Udom Gabriel Emmanuel, the court held that there was a wrong reliance on the petitioner’s witness number 48 by the lower court to have decided that there was disenfranchisement of voters in 18 out of the 32 Local Government Areas in Akwa Ibom State. The apex court in its reasons read by Justice Centus Nwaeze added that even, the said witness had admitted that he was not at his polling unit at the time of the polls. The court also held that the over-generalization that there was anarchy in the State during the polls as part of its reasons for dismissing the appeal cannot be faulted considering that the Nigerian Police report of the polls largely contradicted that of the witnesses which were relied upon by the tribunal. The Supreme Court had on February 3, upheld the election of Udom Emmanuel thereby setting aside the earlier judgment of the lower court which nullified the election held on April 11, 2015, scannewsnigeria.com reports.